In his challenging exposition of Revelation 2: 2-6, Strauch examines this alarming rebuke of Jesus Christ to his church. Part I of the book reminds us that "an individual or a church can teach sound doctrine, be faithful to the gospel, be morally upright and hard-working, and yet be lacking love and therefore, be displeasing to Christ." Love can grow cold while outward religious performance appears acceptable--even praiseworthy. 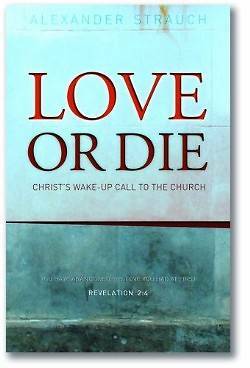 Part Two of Love or Die presents practical ways to cultivate love in the local church, including chapters that challenge us to Study Love, Pray for Love, Teach Love, Model Love, Guard Love and Practice Love. A five-lesson study guide is included, making this an exceptional tool for classes and small groups.